The majority of smartphones and devices that we use today run on Lithium-ion batteries. And even though battery life is a permanent issue that continues to plague almost all the smartphones out there, we’re still doing somewhat fine with the Lithium-ion batteries. 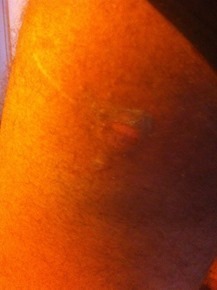 Nevertheless, with the chemicals present in batteries, sometimes things tend to go awfully wrong. 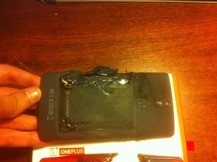 That happened to one unfortunate OnePlus One owner whose device blew up while in his pocket. 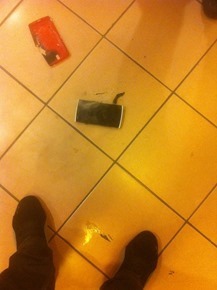 Yes that’s right, though it wasn’t the OnePlus One that was the culprit but rather it’s battery. 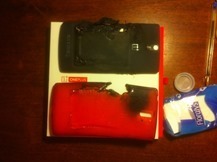 OnePlus One owner calling himself “MiYzu” on the company’s forums, said that his device blew up in his pants’ pocket while he was walking on the subway. “We are very sorry to see one of our users had to experience this with their device as the safety of our customers is our first and foremost concern. We have already contacted MiYzu to learn more about his condition, as well as dispatched OnePlus staff to physically retrieve back the phone. This way, we can determine the circumstances surrounding this so that we may work to prevent this happening in the future. 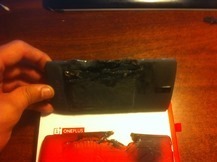 The OnePlus One uses a Lithium Polymer battery, unlike the Lithium Ion modules found in other devices. 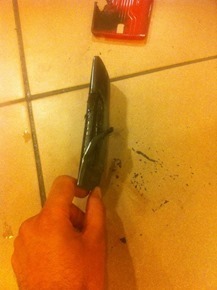 The Lithium polymer is said to be more resistant to stress and other pressures. Let’s hope the guys over at OnePlus can figure out what went wrong in this case and fix it.